Ever hear of a developer called TACS Games? If not, you’re about to. Alien blobs from space are invading the Earth. It’s up to the Alien Counter Offensive Response Network (ACORN) to stop them from enacting their evil plans. 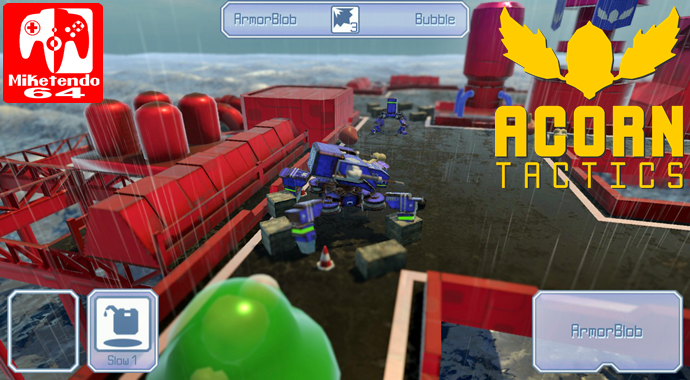 Construct and customise a strike team of giant walking tanks and air drop them into combat. Customise, upgrade and train to save the planet from King Blob in a 25 mission hand-crafted story campaign. Then take your custom battle team into the random mission generator and visit procedurally generated bases and challenge yourself to endless battles. Collect and upgrade a deck of battle-cards to take with you into combat. Use their special effects to turn the tide of war against your foes.